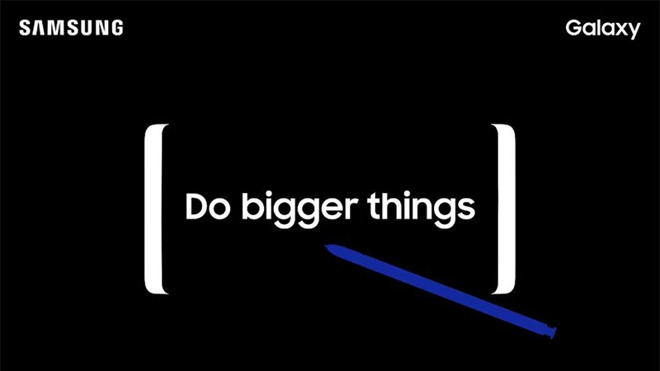 Samsung on Thursday sent out invitations to a media event set to take place on Aug. 23, where the company is expected to unveil its anticipated Galaxy Note 8 phablet. The upcoming "Unpacked" event falls in line with Samsung's normal Note release schedule. Last year, for example, the ill-fated Galaxy Note 7 debuted on Aug. 2. As seen in a screenshot of the invitation, included above, the South Korean firm is teasing what appears to be a phablet device with stylus capabilities, strongly suggesting August's Unpacked will feature a next-generation Note product. 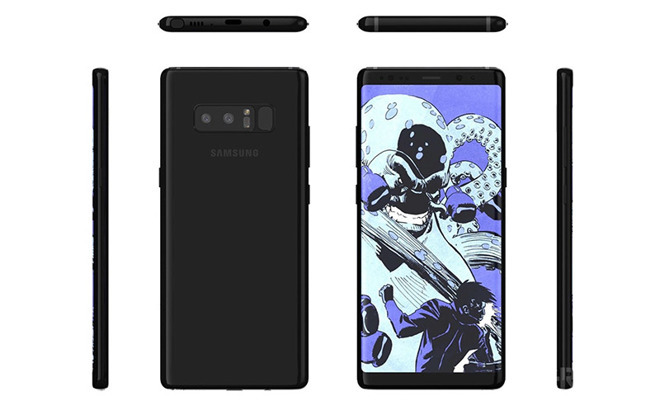 Current rumors compiled by BGR suggest the Note 8 will boast a 6.3-inch Super AMOLED screen, an enhanced S Pen stylus, dual 12-megapixel rear cameras and a 3,300 mAh battery. Depending on sales market, the large device will be powered by either a Exynos 8895 or Qualcomm Snapdragon 835 chipset with 6GB of RAM. The handset's design is expected to mimic the existing Galaxy S8, with thin bezels, rounded corners and curved edges. Samsung is looking to make up for last year's Galaxy Note 7 fiasco. Shortly after the phablet launched, reports of explosions and fires surfaced in the company's domestic market. Similar incidents were subsequently reported in other international launch countries including the U.S.
Less than a month after the Note 7 was released, Samsung halted shipments and issued a voluntary recall of some 2.5 million devices. The company attempted to solve the problem, but replacement units suffered the same fate as original hardware, suggesting the issue was inherent to the Note 7's design. Samsung ultimately stopped all sales and replacements on Oct. 10 before announcing a permanent product discontinuation a day later. An investigation narrowed the issue down to a design flaw in the upper right corner of the device battery, which caused a short circuit in the "jelly roll" lithium-ion pack. Subsequent units faced a separate battery manufacturing issue that also led to short circuiting. Samsung has since instituted a new testing protocol and dedicated lab to avoid identical problems in future devices. Still, the Note 7 kerfuffle torched Samsung earnings in the third quarter of 2016, with the company's mobile unit posting a 96 percent year-over-year decline. As usual, Samsung is timing its Unpacked event to beat Apple's expected iPhone debut in September. This year, the Cupertino tech giant is widely expected to field three new handsets — an updated "iPhone 7s" series and a standalone "iPhone 8" or "iPhone Pro." The latter version is rumored to be a flagship device with exotic technologies like a full-face OLED screen, front-facing (and potentially rear-facing) 3D-sensing cameras, embedded Touch ID or facial recognition, wireless charging and more.